Saudi-led coalition air strikes on Thursday killed dozens of people, including children travelling on a bus, in Yemen’s Saada province, Yemeni medical sources and the International Committee of the Red Cross (ICRC) said. Saudi Arabia’s foreign affairs minister defends sanctions on Yemen, as the UN warns millions will die. 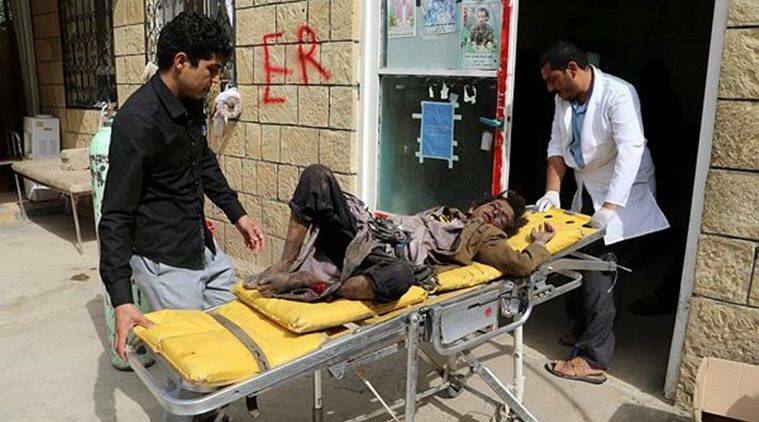 Abdul-Ghani Sareeh, head of a health department in Saada, told Reuters that the death toll was to 43, with 61 wounded.